When should I put a new roof on my house? Your roof is the “guardian” of your house. It keeps you safe from the wind and rain, as well as the sun. If you don’t look after it, it can also cause serious damage to your home, such as dry-rot and more. What can you do to prevent this, and when is the best time of year to get new roofing in Vancouver, WA? Knowing the answers can save you a lot of time, effort, and expense in the long run. 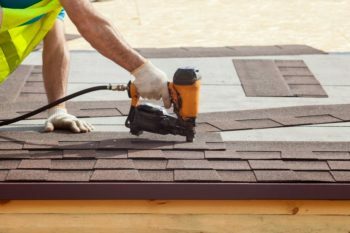 When you live in a humid and rainy area, such as up here in the Pacific Northwest, you have a limited time to get your roofing projects done. The reason for this is that mold grows very quickly in wet areas. If you have your roof torn off when it starts raining, it creates the ideal environment in which fungus can thrive. Should you leave this unchecked, it can end up with you out of a home, facing a collapsed roof or even medical problems caused by mold inhalation. For these reasons, it’s critical for you to get your work done in the summer. We get really heavy monsoons here in Vancouver between March and April, with things starting to dry off around May. You can’t predict exactly when the rainy season is going to stop, so it’s best to give yourself some latitude. Start your project no earlier than mid-May, or even the beginning of June. June tends to be hot, with temperatures at the end of this month and the beginning of July hitting 100 degrees or higher for several days in a row. In that sort of weather you’re far less likely to develop mold. What should I remember about getting my roof replaced in the summer? Just because it’s hot doesn’t mean that it’s not humid. Vancouver sit on the Columbia River, and the warm air evaporates that water, creating a fine mist that can still make its way into your home. To help prevent humidity from settling, set up industrial fans in your house to ensure proper airflow. You can also put down Tyvek or another brand of house wrap. This is a flexible plastic cloth material that creates a moisture barrier. All you need to do to put it on is staple around the edges with a tack hammer. Nothing beats doing the job right and getting it done before the rain comes. If you can get the whole thing done before the end of August, you’re in much better shape than if you’d let it go. Speed is no substitute for quality, though. It might be tempting to take shortcuts, but a sloppy job ends up costing your more down the line. Once you’ve got everything down, make sure to go over any seams with exterior caulking. This ensures the tightest, most weatherproof seal possible. Sometimes you need a refresher about the basics. In such a complex job as re-roofing your house, it’s often the little things that can trip you up. Make sure to follow these tips to get the job done in time to avoid the return of the rainy season. Permits: Apply for your permits well before you intend to start. Speak to someone in your local planning office to make sure that you understand the permitting and inspection process thoroughly. If you make a mistake and end up having to delay your project long enough to cause a problem with rain and mold. 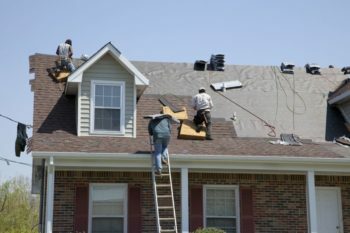 Proper roofing application: When you’re nailing in your shingles, don’t overdo it. Most folks use pneumatic nail guns. If you have it set to a very high pressure, you can punch directly through the shingle. This creates a hole through which rain water enters, which allows mold to start growing. Keep your gutters clean: Before, during and after your roofing job, if you have gutters, make sure to clear them out regularly. Debris colgging up the drains causes water to back up. If you’ve got exposed paneling, it creates a route through which the water can enter your home. When you start your job, you have the best chance of beating the rain if you call in help. A professional contractor can make the difference between getting a job done right or suffering the consequences. 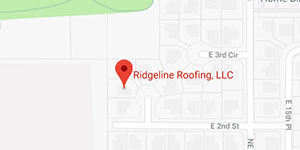 Ridgeline Roofing is your top choice for roofing in Vancouver, WA. We’ve been in the game since 2016, and feature a team that has years and years of experience. Our workers are very skilled and put their best into every project. Just call us or fill out the contact form on this page to set up a free consultation. We sit down with you and go over the specifics of your job. You give us a timescale, and an overview of what you’re looking to achieve. We can do complete replacements, partial replacements or simple minor repairs. Our team works at any scale, and we can collaborate with you to come up with something satisfactory within your budget. While it’s best to call us in at the beginning of a project, we can work with you even if you’ve already started. If you’re not sure of whether or not you’re going to beat the rainy season, contact us right away. We have people waiting to help you and can fix any problems that you might have found since you started your job. Your home is your sanctuary, and you deserve to be safe and secure within it. When it comes to making repairs and upgrades, you’re always on a time crunch in the Pacific Northwest. Call Ridgeline Roofing to help you meet your goals today. We have the experience and knowledge of the local area needed to make the right decisions for your project. Our team works tirelessly to ensure that your roof goes on right and before the rainy season comes.